Questions? Ideas? Poetry? Want to link (your blog)? Hi Mona, thanks for checking out my blog, this will inspire me to update soon! 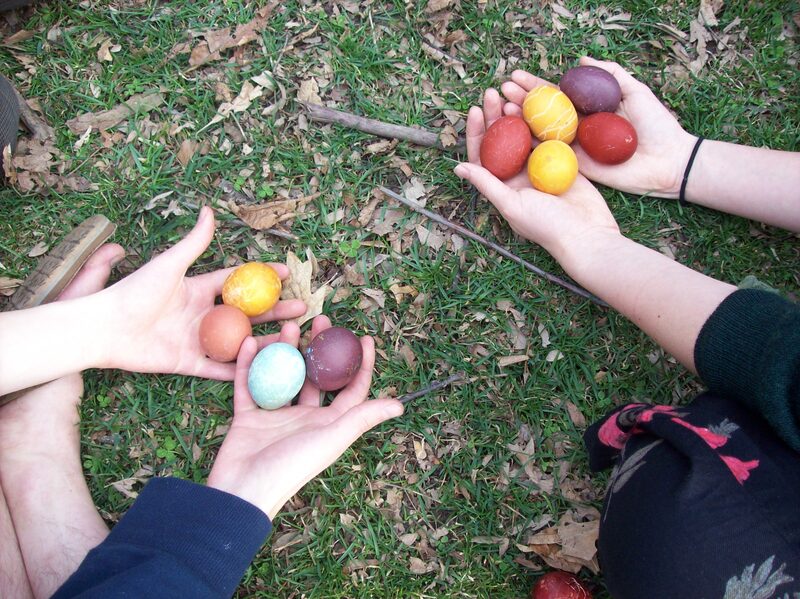 My experience with natural dyes is limited, but I’ve been doing research since I started dying eggs with plant dyes. I’ve used onion skins to dye cotton a pleasant warm shade of brown. Onion skins are the most easy/household dye I’ve come across, but there are other options, such as turmeric for gold, and more plants that might be harder to get a hold of this time of year. One essential element of dyeing fiber is using a mordant, such as vinegar or alum (available at a drug store), to make the dye stay in the material. I’d also check the local public library for books on the topic. If you try this and want to share your experience, I’d love to post your project and any photos on this blog! Good luck!